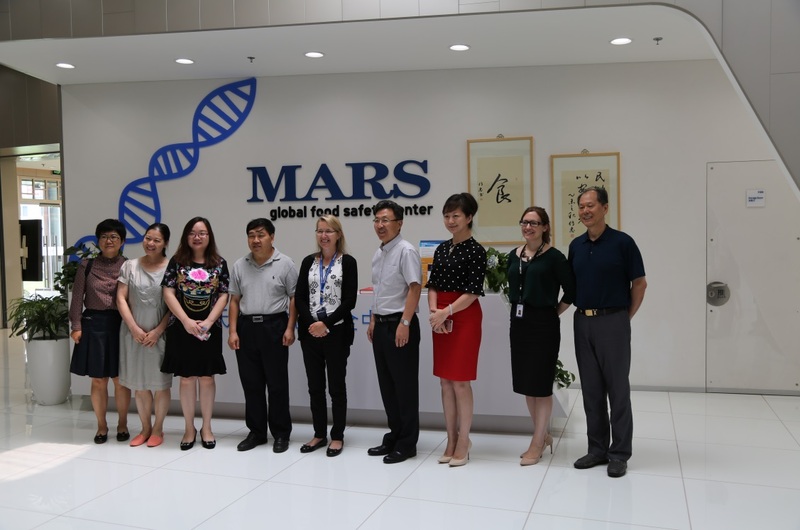 CCIEE Delegation Visits Mars Foods (China) Co., Ltd.
On July 23, 2018, the CCIEE delegation visited the Mars Foods (China) Co., Ltd. and its Global Food Safety Center. Zhang Yongjun, Deputy Chief Economist, Xu Chaoyou, Director-General of the Department of External Affairs, Ren Haiping, Deputy Director of the Strategic Research Department, Xu Guolu, Deputy Director of the Institute of Innovation and Development, and Zhang Xiuqing, Senior Economist of the Department of Industry Planning, participated in the event. Ms. Qin Min, Vice President of Public Affairs of Mars (China), and Ms. Sun Haiyan, Communication and Training Manager of Mars Global Food Safety Center, introduced the history and business of Mars Group and the Food Safety Center. The two sides discussed such topics as the Marshall High-Oleic Acid Peanut Project, the status quo and standard development of China and global food safety, future cooperation and promote the establishment of platforms for food safety services. The two sides expressed their willingness to strengthen exchanges and cooperation in certain fields. After the discussions, the CCIEE delegates visited the laboratories of the Mars Global Food Safety Center.